Set Targets - Simple is Smart. 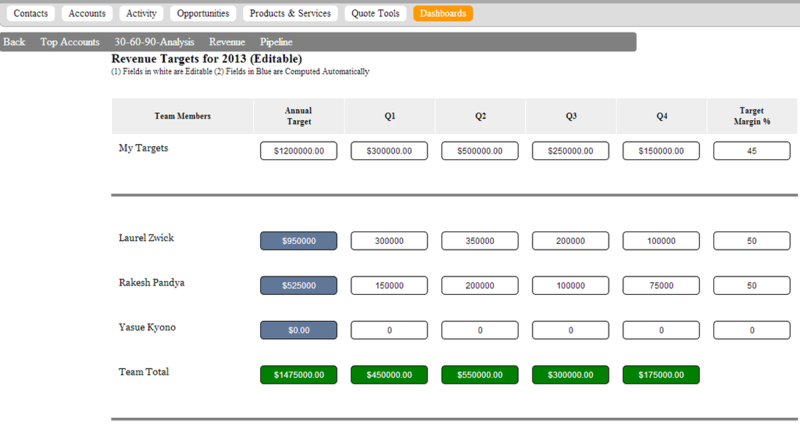 Targets : With Powervieux, unlike other CRMs, setting targets for your team and tracking them is super easy. All it takes is a few clicks and you know exactly who is exceeding their targets. Target Setting is simple with Powervieux. It is as easy as 1-2-3. Powervieux provides you Target Tracking even more easily. With the click of a button. It cannot be any simpler than this.